At intake, patients are given a form that asks if they have been unable to afford food or have been worried about running out of food. If patients mark “yes” to any of the food insecurity questions, they are given a referral to the Food Bank Contra Costa and Solano, which then helps those patients sign up for CalFresh (food stamps). 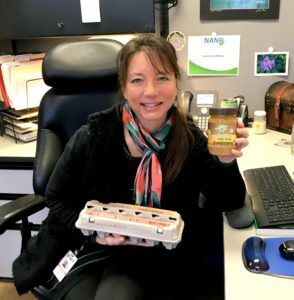 The universal food-insecurity screenings are part of a broader “food as medicine” campaign at CCRMC & Health Centers to address other factors in people’s lives that impact health besides disease. In recent years, CCRMC/HC has begun incorporating wraparound services for food security and healthy eating – from free weekly assistance with CalFresh sign-ups to offering free produce in clinics to teaching patients how to cook and eat healthier on a budget through group medical visits. After a successful pilot, the food-insecurity screenings – also known as “hunger vital signs” –started systemwide at all our health centers in December. Food Bank representatives are regularly onsite at various health centers and can often provide immediate assistance following medical visits. For more information, contact Dr. Gabriela Sullivan at [email protected]. When a community is affected by a large-scale disaster, food banks serve a critical role as “second responders.” They provide food and water in the immediate aftermath and offer longer-term food assistance to people rebuilding their lives. When the Food Bank of Contra Costa and Solano worked with four other Bay Area food banks to develop an emergency response plan a few years ago, we had visions of needing it for a crippling earthquake, not fires of unprecedented magnitude. The objective of this mutual aid agreement is to be able to quickly coordinate efforts and concentrate support where we are needed. The plan was activated for the first time during the Santa Rosa area fires last year. With the recent devastation caused by the Camp Fire in Butte County, that plan has officially been activated once again. As a member of Feeding America, the Food Bank of Contra Costa and Solano has an established ongoing partnership with nonprofit agencies serving Butte County and the surrounding area. Now that we have activated the emergency response plan, the other Bay Area food banks, along with Sacramento Food Bank & Family Services, have all agreed to help us expand the capacity of our North State partner agencies. While the other food banks are assisting in transporting and warehousing the disaster relief food, we are conducting food distributions directly to the displaced victims to help meet the demand. The Food Bank of Contra Costa and Solano’s new distributions are taking place in Chico and Oroville twice a month as long as our services are needed. 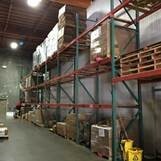 The activation of the emergency response plan during the Santa Rosa fires taught all food banks the importance of building a flexible plan and being ready to adjust when necessary. With their eyes welling up with tears, survivors of the fires in Butte County have been sharing their heartbreaking stories with us. Most of the people we’ve met have never before needed food assistance, yet they are now having to turn to us. If you know of anyone in the affected area needing assistance, please share this flyer with them. We will continue to serve the needs of Solano County and Contra Costa County residents struggling with hunger, in addition to providing emergency support to fire victims in Butte County. And as we take care of today’s increasing needs, we have to continue preparing for the next catastrophe. The Bay Area food bank’s emergency response plan has now been activated twice in just a little over a year, so we know it’s not a matter of if–but when–we’ll be needed again. The stronger our collective safety net is in the event of a disaster, the faster our communities will be able to get back on their feet. A week after leaving door hangers to remind people of the upcoming Scouting for Food, local Cub Scout Calvin Burt and his den returned to the same Pleasant Hill neighborhoods to pick up donated food on November 17th. This was Calvin’s 4th year participating in this annual event and like always, he got a thrill out of spotting the food at participating houses. Normally he and his den would walk, but with the smoke-filled skies resulting from the fires in Butte County, their families drove half the route. Scouting for Food is the second largest nation-wide food drive. Though Calvin collected more this year than in any other (19 bags), the overall amount of food donated in Contra Costa and Solano counties was down 15% this year. It’s speculated that the poor air quality from the fire in Butte County played a role in the decline. 7 Ways to help during the holidays! There are places to go, people to see and things to do in the busy month of December…why not fight hunger along the way? Here are 7 ways you can help during the holidays. Whole Foods Markets and Whole Foods 365 customers will have the option to donate their 5-cent reimbursement to Bay Area food banks for each shopping bag they bring in and use. Safeway shoppers can purchase a “hunger bag”, a pre-filled bag of groceries, for $10 and donate it to the Food Bank during check-out. Raley’s customers can make a $10 donation at the register or online, which will provide more than 20 meals to a family in need. Help fill up a decorated public transit WestCAT bus with both food AND toys for families in need in Pinole on December 12 or Hercules on December 14 and catch up with the man in red. Santa will be at the Danville Livery every Saturday and Sunday in December until Christmas. Please bring canned foods for their food drive. 3. Give on someone’s behalf: Right now when you donate in someone’s honor this holiday season, we will mail your honoree a reusable limited-edition shopping bag as a tangible reminder of this meaningful gift. 4. Shop online: Fight hunger next time you shop Amazon by logging in through www.smile.amazon.com, select Food Bank of Contra Costa and Solano from the list of partners, then shop as usual. Amazon Foundation will donate 0.5% of your purchases to the Food Bank! 5. Fundraise for the Food Bank: Give nutritious food without lifting a can by encouraging others to contribute to your virtual food drive. 6. Go ice-skating: For every ticket that is collected at the Walnut Creek on Ice rink, Contra Costa Oncology will make a donation to the Food Bank. 7. Service your HVAC: Perfect Star Heating and Air Conditioning is donating $10 for every tune-up performed through January 31st. Recently I got an opportunity to get out of the office to participate in distributions for our Food For Children and Food Assistance Program in Antioch. The first thing I noticed was how much work went into setting up and disassembling a single distribution. I was impressed to see that everything worked like a well-oiled machine, from taking out the tables from their custom place in the van to bagging the bread and produce in a production line, to putting up the shade canopies. The volunteers were an integral part of the whole process, from setting up tables to bagging non-perishables to give out. Most of these volunteers are regulars and knew exactly how things should be run and helped me understand what to do. One volunteer told me they come to help but stay for the camaraderie. It was really good for me to see and interact with the people we all work so hard to feed. It puts things in perspective. I would be remiss without saying that none of this would happen as efficiently and effectively without Julie and Mullie. Together, they have worked at the Food Bank for a combined 54 years (!) and are a fantastic duo. The food distribution worked so smoothly because of their expertise at what they do. I’m really glad I had this opportunity. In the midst of elections and the fast-approaching holiday season, we encourage our supporters to step back, take a deep breath and remember you have the power to help create the kind of community you want to live in. You can change lives–one kind act at a time. Make a donation at foodbankccs.org/holidays. You can give in honor of someone – holiday giving made easy! Consider being a monthly donor because hunger doesn’t just happen during the holidays. Join at foodbankccs.org/nourish365. Get involved by giving your time. Sign up at foodbankccs.org/volunteer – don’t forget we need volunteers AFTER the holidays too! Working together we will become a better and stronger community. Food has the power to unify us; let your neighbors in need know you care. It’s no easy task distributing 22 MILLION pounds of food a year, which is why we have developed partnerships with 180 nonprofit organizations serving our community. One such agency partner is Loaves and Fishes of Contra Costa. We have been collaborating with Loaves and Fishes since they opened up their doors in the early 1980’s. Along with our other partner agencies, they help us get the food into the hands of those who need it the most. They provide drop-in lunches Monday through Friday to anyone needing a home-cooked balanced meal. Most of the food they prepare and serve in their five community dining rooms within Contra Costa County comes from the Food Bank. The Kitchen Manager and Chef for Loaves and Fishes, James Porter, comes to our Concord warehouse and picks up the needed food every week. He typically leaves with fresh produce, canned goods, bread and healthy grains. For those of you who have been to our annual Empty Bowls event before, you might be surprised to find out that the delicious 15-bean soup served is actually made by Chef James. He was nice enough to write down the recipe that is normally stored in his head and we are featuring it this month. We are proud of our 30+ year partnership with Loaves and Fishes. They continue to do amazing work that improves the lives of our community members in need. Behind the Scenes: Letter Carriers’ Food Drive-Coming up this Saturday! All residences receive a post card about the food drive. Some residences will also receive a paper bag (provided by generous sponsors who support the letter carriers) to help publicize the drive. When nonperishable food (please, no glass) is left by a mailbox the letter carrier will pick up the food when they deliver the mail that day. Food Bank trucks and volunteers are stationed at the post offices to help the letter carriers unload their trucks. It is a longer than usual and tiring day for the letter carriers, but it’s a rewarding one–as they know their hard work will add smiles to many faces during the summer months. The food gets inspected, sorted and boxed by volunteers at the Food Bank warehouses and then gets distributed to agencies who then bag it up for those in need. Some of the food sometimes goes to the Food Bank’s Senior Food Program. This nationwide drive collects over 70 million pounds of food a year! The Food Bank of Contra Costa and Solano received 222,413 pounds of food last year! Our goal is to beat last year’s total. When you see your letter carrier, please let them know you appreciate their hard work in making this event a success. Please help us fill the shelves this year! Sometimes two full-time jobs aren’t enough to support a family in the Bay Area. 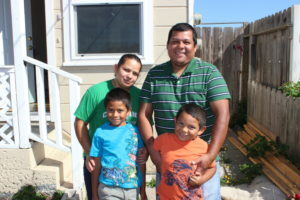 Jorge and Silvia Medina of Richmond work hard to provide for their young boys. However, their combined incomes don’t cover all of their basic expenses. Jorge recently switched to the night shift at the high-end restaurant he works at in Marin County, so he and his wife could save on daycare expenses. It means less time together as a family, but it also means being able to pay more bills. They consider themselves to be luckier than some because their friend is currently renting an apartment to them at a below-market rate. They do, however, worry about the future because the property is up for sale. Receiving supplemental groceries from our Food Assistance Program allows the Medinas to pay for other necessary expenses like utilities, transportation to get to work, and mandated public school uniforms for the kids. By helping the Medinas and other struggling families today, our supporters are giving our youngest generation opportunities to thrive tomorrow! Shamrock Smoothie: It doesn’t taste green! No shamrocks were actually harmed in the making of this smoothie…but it does make the perfect drink for March to celebrate both National Nutrition Month and St. Patty’s Day! Consisting of only 4 whole-food ingredients, this smoothie is easy, delicious and packed with vitamins and minerals. It’s also a good way to use up over-ripe or bruised produce and prevent food waste! *Frozen banana and/or pineapple can be used instead of fresh fruit. Just decrease the amount of ice in the recipe or add additional liquid. Serving size: Approx 20 ounces, enough for two small smoothies or one large smoothie. The recipe can easily be doubled. The decisions you make while buying food for your family are the same ones our Purchasing Manager, Veronica, makes on behalf of the people served by the Food Bank. Like most of us, she too has to balance cost and convenience with nutrition and taste. Veronica purchases about 10% of the total food we give out. The perishable and nonperishable items she buys supplement the donations we receive to keep up with demand. The food is purchased with financial donations from our supporters like you. With a master’s degree in Health Education and Holistic Nutrition, Veronica takes the time to read labels. She pays special attention to added sugar and salt content and isn’t tricked by unrealistic serving sizes. When a vendor approaches her about purchasing a new item, her response is always, “Send me the label…with both the nutrition facts AND the ingredient list.” She knows that food manufacturers will often add unhealthy ingredients to make up for poor quality and taste. Shelf-stable items she purchases include bagged beans, brown rice, lentils, whole wheat pasta, low-sodium or sodium-free canned goods, and canned fruit in 100% juice. Although March is National Nutrition Month, we value the importance of good nutrition year round. Our goal is to not just feed the 182,000 people who turn to us each month; we want to nourish them. Springtime is a typically slower time of year for food donations. We are looking for individuals or groups willing to coordinate a neighborhood food drive to encourage giving. It’s both meaningful and easy to do. Simply pick up paper bags from the Food Bank and create a flyer to distribute. Place bags on your neighbor’s doorsteps and come back a week later to collect the food. 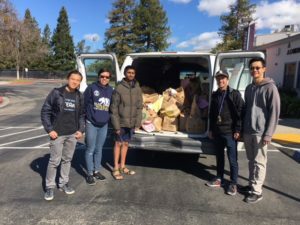 Last month, the students from Cal High’s Interact Club in San Ramon collected over 1,300 pounds of food through their annual Neighborhood Food Drive! The food collected helps people receiving assistance from our partner agencies and senior citizens participating in our Senior Food Program. We get feedback that they appreciate the variety of foods that food drives bring. Ready to try it? Visit www.foodbankccs.org/fooddrive to get started.